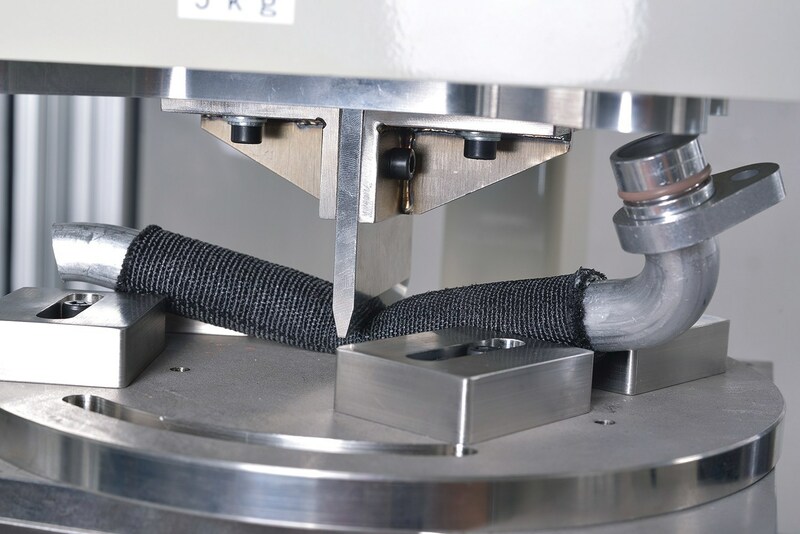 Federal-Mogul Powertrain in Southfield Thursday announced it has launched its next-generation textile sleeving for crash protection and impact resistance. CrushShield 2448 is available for heavy-duty and light vehicle applications and features a new heat shrinkable design that absorbs and disperses energy during a crash, protecting sensitive vehicle components such as air conditioning lines, fuel lines, hoses, and high-voltage cables. The product also provides superior abrasion resistance, which prevents mechanical wear from nearby components that come into contact with each other. The product uses a high-performance, multi-layer textile design and has a shrink ratio up to 4-to-1 with a minimum shrink temperature of more than 140 degrees Celsius, enabling installation over large connectors, brackets, and contours with sharp angles. The heat shrinking design also enables the sleeve to increase in density and toughness with fitted or shrunk around the component. The lightweight, shrinkable construction also allows CrushShield 2448 to cover multiple diameter applications with the same product. Crash tests performed using CrushShield 2448 resulted in an increase in crash protection by more than 70-100 percent, depending on the application. It is testing with several global OEMs.